Exciting Games Coming Your Way! 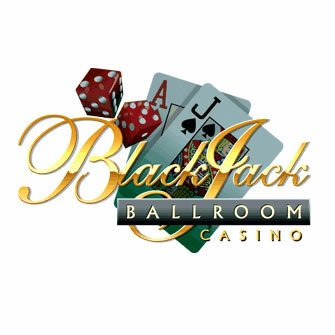 2014 is going to be fantastic with some interesting releases from Blackjack Ballroom like Jurassic Parc, Terminator 2 and Game of Thrones! Read more here! Blackjack Ballroom is very happy and excited to announce the release of 3 incredible blockbuster games, coming to the casino later this year. The first release is everyone's favourite dinosaur trilogy Jurassic Park, set to bring you giant jackpots and roaring fun! Then there's one of the greatest movies of all time, Terminator 2 which will be recreated into an exciting slot where you can join Arnie to help save the human race. And if that wasn't enough entertainment, prepare to be blown away by the Game of Thrones slot, featuring all your favorite characters from the enormously popular tv series! While waiting for these games, enjoy these two classic games and have a great week. Time for a relaxing fishing trip down at the lake with Bearly Fishing - a 5 reel, 25 payline game where you can win up to $12,000! You'll feel rejuvenated and energized with the tranquil forest and running stream as a backdrop, giving you the chance to focus on fishing out the largest payouts. Line up 3 or more Fishing Baskets (the Scatter symbol) and you'll be taken to a Free Spins round where you can reel in the catch of the day. Play Bearly Fishing this week, and the Top 5 Wagerers each day will receive $100into their Blackjack Ballroom rewards account. Those with a sweet tooth will love Chocolate Factory - a 5 reel, 9 payline game with a max jackpot of $40,000. Mike Candy and Doctor Chocolate are ready to welcome you into the tastiest factory in the world, where you'll savour such delights as Turkish Delights, Candies, Mint Wedges, Cherry Creams, Praline Shells and lots of opportunities to win some money... the real kind, not the chocolate variety! Try your hand at Chocolate Factory this weekend and 10 lucky players will be chosen to receive $100 per day.